Five tips to make your kitchen look spacious. A spacious is an essentiality for any good home. Without a big enough space to feed your family, the concept of a good home is always incomplete. It doesn’t really matter, if you didn’t allow much space for the kitchen in your house plan, proper arrangements and furnishings can always make the available space more than enough for your needs. Implementing some simple tricks and tips can change the whole outlook of a kitchen. Try these tips to create an Illusion of a bigger space than you have. A beautiful blend of natural and ambient lighting can create a huge difference. 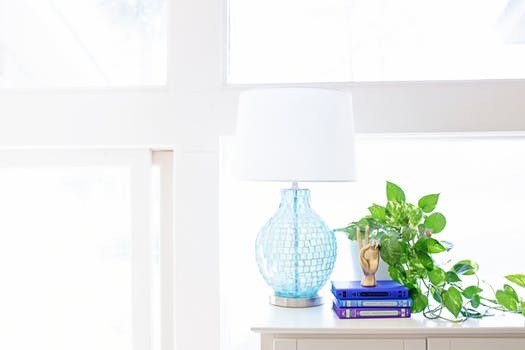 First and foremost, make sure that your kitchen gets Ample sunlight. This can be made possible by the right positioning of the windows. small glass portion on the ceiling will help a lot in this. well, thought and creative combination of artificial and natural lighting simply creates an expanded look. Artificial light should be chosen carefully. The light provided in the kitchen must be comfortable to the eyes during both the day and night.A beautiful blend of light create a relaxing atmosphere and elevates the look and space of a kitchen. White floor, white walls, white ceiling, white cabinets and everything else white! sounds great right? it feels the same as well! The colour white does magic in a kitchen. it has the ability to reflect light well and brighten up everything. Choose white tiles for the floor and tile up the wall as well .white ceiling appear higher and Brighter than they actually are. It makes the kitchen lot more airy and open.The same colour ceiling gives a rich and full atmosphere that feels complete. and spacious look your kitchen. Cabinets used in the kitchen decide the style and overall outlook of the kitchen. Therefore, you should be very cautious and creative in choosing them. the design, colour, material and positioning of the cabinets are very important. cabinets play the two most important functions -storage and style. cabinets satisfying these two purposes can make your kitchen look and feel luxurious. The most important thing to keep in your mind while trying to make your kitchen look spacious is creating the look of Emptiness. the idea is concealing your appliances, cookware, groceries and everything else that is supposed to be in the kitchen in the cabinets. nothing of the above should be showing up in the kitchen when you enter. all you have to see is clean plain surfaces. This is why cabinets are so much relevant in a kitchen .even the biggest kitchen can look spaceless and terrible if it is filled with items. so, the decluttering process has to be put on top of the list. Eliminate all unnecessary things and promise yourself to not grab unwanted items when you are out for shopping the next time. give a proper and fixed ‘home’ for each and every item in the kitchen. if something seems to be ‘homeless’ in your kitchen, it obviously means it’s not supposed to be there! so toss it out.decluttering your present kitchen and making sure to not clutter it again can save you so much of space and time. Install more upper cabinets than lower ones .make sure that the lower cabinets are Shallow. it provides lot more floor space. you can compensate it by fixing deeper cabinets on top. use cabinets with glass doors. it elevates the style of the kitchen to another level. you have a bonus too! cabinets with glass doors compel you to keep it clean and organised as you happen to see through them everytime you are there. the more organised you are the more space you have. fixing light coloured cabinets go very well with our white theme. altogether the kitchen turns out simply fabulous! The kitchen is not the perfect place to display intricate woodworks and embellishments. from the door to the ceiling, leave everything simple and beautiful. it gives the area an expanded look .while purchasing appliances, cookware and utensils choose the slim ones .these little ones can perform the functions of the huge alternative and free up some space for you which is great! Go for single sinks than double sinks which eat up a lot of space. It is an untold Reality That bigger sinks are directly proportional to more dirty dishes. So stick on to the simple single sink! the ideal kitchen contains only necessary items and not everything and anything .very often we find the corner space in the kitchen is wasted use it efficiently by fixing appropriate sized corner shelves with glass doors. Keeping everything organised is the secret to a spacious and beautiful kitchen. it makes much easier and comfortable to work in there. Here are some tips to make your small kitchen feel much bigger and useful space. – use medium or big sized food storage containers of the same size and shape(preferably square or rectangle) instead of using many small mismatched containers. – keep all your appliances in one space rather than scattering the kitchen counter. This helps your kitchen to be better organized and also helps you save time..
– clean your draws and cabinets once in a while and get rid of all the items you do not need. also, remove the appliances that are obsolete and dust collecting. – use labels on your spices and other powders so that you do not take out ever jar/bottle and create a mess when in need of a single one. – instead of digging in an overcrowded drawer for a single utensil, easy it up by investing in a cutlery tray which has divided sections for different types of cutlery. “It is our choices that show what we truly are, far more than our abilities”- a quote by J.K Rowling the famous best-selling fiction author of all time. The point is that our life is the consequences of choice we made once. Surely one of the great choice we make in life is about home, where we devote our affluence and sentiments in one purpose. So any decision about your abiding needs to be close to perfect and emotionally satisfying. 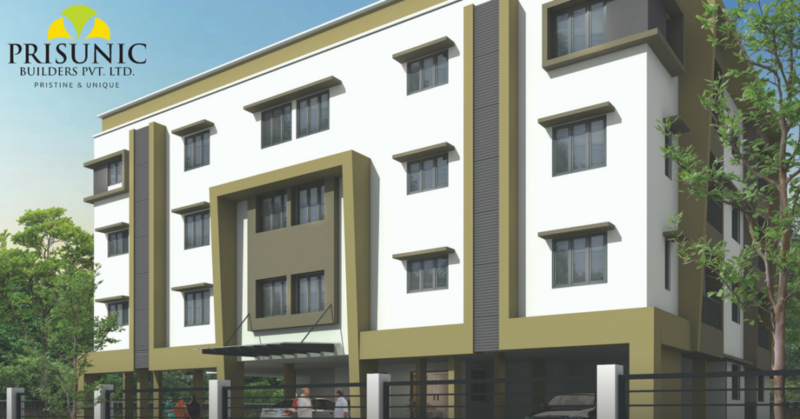 Here we are discussing why flats in Calicut are a wise choice for you than other possibilities and how this choice is special from available residing options. 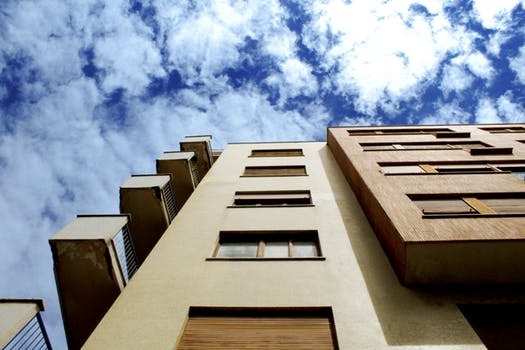 Usually, an apartment is one or a set of rooms in a building block which is available for rent. Now India has a wide range of apartments/flats as you can see how high the demand is. Everyone loves an own house, a house with extra amenities like swimming pool, Gym, poolside party area, library, indoor game zones and so on. But the dream of owning these amenities and adding one to your home is costly enough. But relax, Prisunic Builders is here with exclusively built apartments which consist most of the lovely spaces you have coveted them. And of course, it is really amiable to your budget concerns. The terms Flat and Apartment often confuses people when they enter into business in the Indian market in the quest for comfortable choice. For a linguist, these two terms may imply the same meaning which is true most time. But at the present scenario in building industry, Apartment is more organized and clearly satisfies customer demands. Perfect for your Budget Plans Apartments are popular for their affordability. A luxurious villa or house may be attractive but an apartment is always a good recommendation for a family man or individual who has clear ideas about his budget plans. You can have your apartment on rent or in some case you can own them on lifetime agreement. When comparing to the buying and maintenance cost of villas and house, Apartment is truly an economical option. You can save your money and invest it in other business and for the welfare of your family. 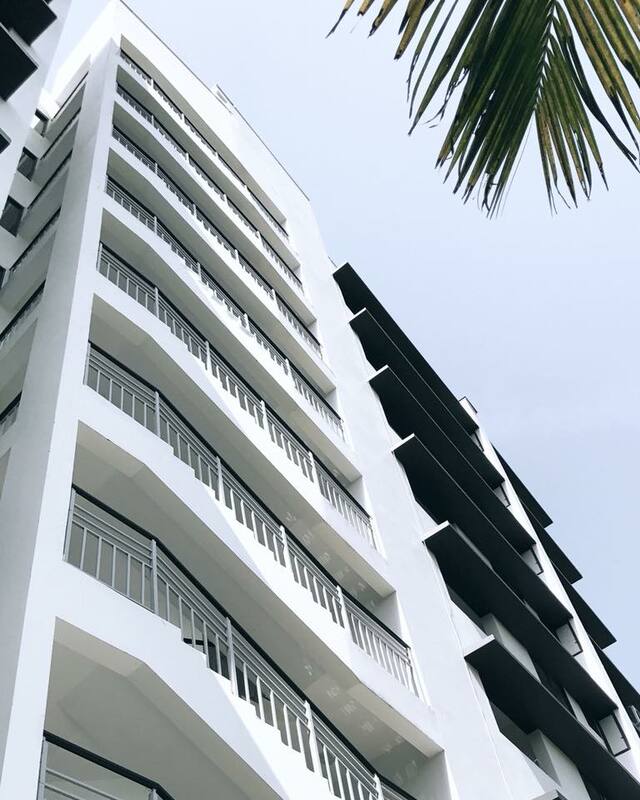 The best characteristics of nowadays apartment are that you don’t need to compromise on amenities or quality based on your spending for the same. Naturally, an Apartment is a self-contained group of a private unit under a large building complex or compound. It has two or three rooms with adequate space. With private space, it also combines community hall and party area. Open space available is adequate for better moves and freedom of work so the cost varies with the area of your apartment. Numerous residing options are available around you. So the choice becomes tough. Like the cheap rates offered by hotels for temporary stay. They will offer room service and other refreshments. But the privacy offered by an Apartment is incomparable. Hotels rooms may be good for temporary stays and single person but for a family, an apartment is the best choice. The apartment is comprised of all the basic needs and space like infrastructures, automatic lifts, parking lot. Beyond these, it offers excellent leisure areas like swimming pools, garden, children’s playing area, indoor game zones, common library space and much more. It is like a dream come true, a perfect environment for peaceful repose with family and friends. This is what apartment is. Well, we need friends and family to support our emotions and share our feelings. Our personality develops only when we are in good company. If your choice was wise then you will certainly get a chance to make new friends and social interactions which is a psychological advantage of most apartments. And Prisunic Builders believes in developing such helping and meaningful connections by creating special space like internal recreation hall or party area. You can eventually form clubs and groups to make every celebration more pleasing. For creative and active minds owning a space in an apartment means owning a big family. 24-hour security and timely maintenance work. Every apartment under a corporation or entity gives paramount importance to the safety of their tenants or residents. This is why apartment is usually gated and will be strictly under the open eyes of the surveillance camera. They will certainly welcome your guests but definitely blocks any unwanted intrusions from ‘foreigners’. That is what you want, right? With the technical assistance, there will be security personnel for every query and helps. Also, the apartment becomes good choice because it mitigates your worries about maintenance issues. The electrical- water- gas lines are usually centralized and under keen observation. Since these things come under a single unit, any interrupted service has a wide effect. So the problem will be solved immediately. Or if there are unattended issues you can directly dial the builder or manager to get adequate answers.